The great variety offered by rotoblock® units, together with numerous application possibilities, resolve adequately the many different requirements. More and more frequently we are asked to design complex and custom applications and that is why we are building ​​an increasing number of Special Units. It is practically impossible to enumerate all feasible solutions with rotoblock® units. The need to minimize downtime, increase production, to automate even the most complex and often dangerous operations, have made it increasingly necessary to introduce sophisticated devices that can meet different needs. perform movements with special features, so to follow preset trends. All these Special Units are made ​​by exploiting the characteristics of rotoblock® indexing or oscillating units and various types of cam, while ensuring reliability and repeatability that are typical of mechanical systems. The increasing requests to provide, in addition to the control system of intermittent motion, even the parts adjacent to it, pushed SONZOGNI CAMME to build ever more complex and complete systems. 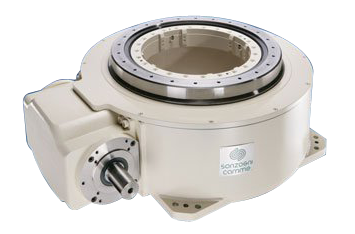 For several years SONZOGNI CAMME has been designing and suppling pre-assembled machine parts, or in some cases, full automatic machines.